Have you ever watched other folks flying radio controlled aircraft and thought it would be a fun hobby to get into? 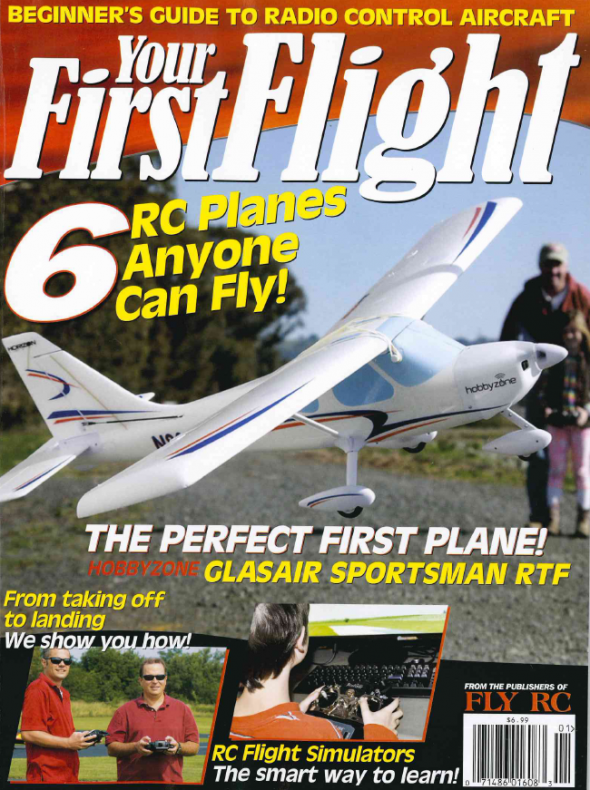 FlyRC has you covered with their special issue entitled “Your First Flights”. This 84 page magazine is packed with an absolute abundance of information that can help new pilots enjoy the challenges and fun offered by the hobby. Its articles explain in detail how to successfully take your model off for the first time, the keys to getting it back on the ground in one piece, the benefits offered by modern RC simulator software and many other topics especially relevant to beginning pilots. This special issue also contains in-depth reviews of six beginner level aircraft that are especially designed to help new fliers get off to a great start. Review articles included in the magazine include the HobbyZone Glasair Sportsman, the Hitec SkyScout and the Ares Gamma 370. Pick this special issue up at your local hobby shop or newstand.